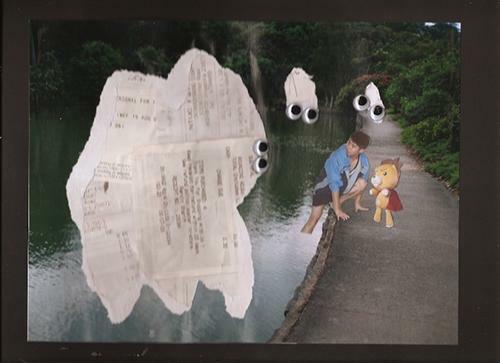 Many years after The Staplers sealed the Thousandth Year Monster, two brave souls, Finn the Traveler and Kon the Lion ventured into Cloverfield to look for Halia. The power of Xu Dai is getting stronger apparent in the increasing number of the Receipt Monsters appearing not only within the field but also at the perimeter. This chapter tells the story of the two characters, inspired by Pendleton Ward's Adventure Time.